Stylestalker dress (c/o). Zara necklace. Chicwish moto (c/o). 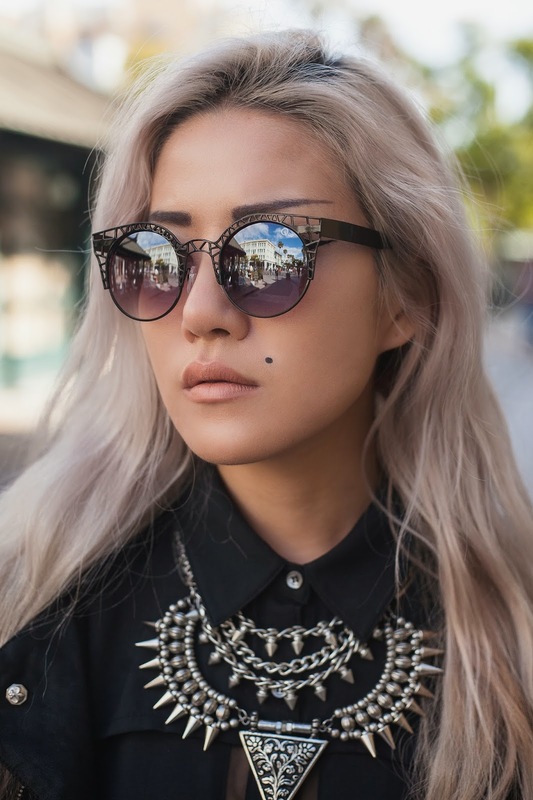 Quay sunglasses (c/o). Zooshoo shoes (c/o). This shirtdress from ShopDSR is the best ever. 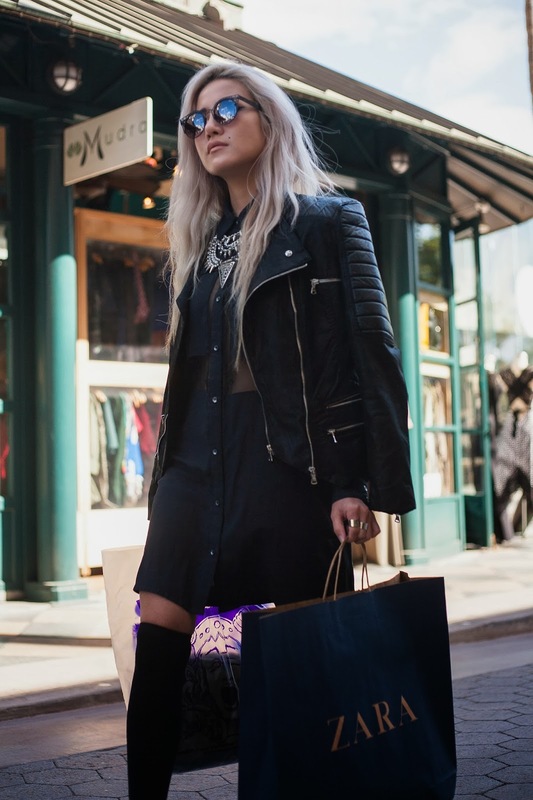 Stylestalker is known for taking trends and putting a fresh spin on them, and they don't disappoint with this piece! I love that something not form-fitting could have so much risque sheerness, but they do it right by putting it on a conservative cut and keeping the opaque panels oversized. I paired it with super stylish (and affordable!) 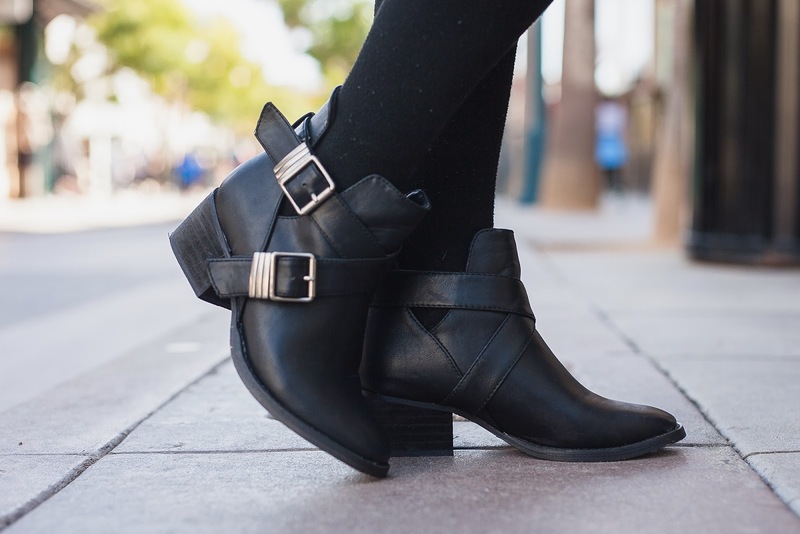 boots that are easy to walk in, yet still have a small heel, for those long shopping days. And yes, I am wearing this necklace again. It is kind of a godsend--notice how seamlessly it brings together any outfit. I've been styling it every way possible. Best recent purchase. Gorgeous photos! And I love your hair! But what is not to love about this look ? !